Jesus chose as his first miracle to change water into wine. Seems like a mundane trick to choose as your first “hey guys, look what I can do” moment, but the response that Jesus received was immense gratitude and appreciation. I’m sure there was gratitude for Jesus saving the day on what could have been a party disaster, but that isn’t what surprises them. What surprises them is expressed in the master of the banquet’s response, “Everyone serves the good wine first. They bring out the second-rate wine only when the guests are drinking freely. You kept the good wine until now.” (verse 10) What was usually done wasn’t done anymore. The good wine came first. I’m not sure if the guests were pleased with the quality of the second-rate wine, but I’m sure they noticed once they received the good wine first. I feel that same sentiment in our denomination, in this case the Presbyterian Church U.S.A. (PCUSA) denomination. Whether it is church, the presbytery, or the General Assembly, there is a growing sense that we are being served second-rate wine, but having not tasted the good wine, it is hard to know what we long for, what we want. All we know is that we desire some type of change, something different. We wonder if there could be a better way or even just a different way. No one is clear on what that better or different way is. A part of the challenge is to change out of our 20th century way of thinking and move into the possibilities of the 21st century. This is hard to do since we are unfamiliar with what that 21st century way is. After all, this century has just begun. In many ways, it is like the time when world explorers believed the world to be flat. When one thinks the world is flat, we travel with a very limited sense of possibility. We can’t travel too far or we will fall off the face of the earth. When the thought of a round earth started to spread, it affected the way people thought, traveled, and understood the science of life. But to move from a perspective of a flat earth to a round earth took lots and lots of time. It was difficult to shift the thinking of what was understood to undiscovered possibilities. I am involved in PCUSA on three different levels. I am a pastor at a smaller congregation. I am moderator of my presbytery. And I am on a General Assembly committee – the Committee to Review Biennial General Assemblies. All three of these have something in common – change. I have spent the last eight years moving my congregation to a healthier place. We are more healthy not only in our finances, but also in our mission, vision, and membership. As moderator, I am a member of a presbytery that is considered to be divisive and a tough presbytery to be a part of. It is unclear what changes need to be made to be healthier, but for the past couple years, the leadership has been working hard thinking outside the box, dreaming big, letting go of what is holding us back, and taking big leaps of faith into the unknown. We have redesigned our staff; are searching for a new presbytery pastor; have created new presbytery priorities; have restructured committees and council; and have done all of this without an Executive Presbyter. Now we are focusing on our presbytery meetings. Many have complained about the long, grueling 7-hour presbytery meetings of just sitting there listening to reports after reports. Many want something different. Many times we have tried to do something different and it hasn’t took. But I took it on as my call this year as moderator to move us to meet in a different way, where we can build relationships, partnerships, and networks. I have implemented different process modalities in each meeting to loosen up the possibilities of what could be. Although it hasn’t been perfect, there have been positive responses. Much like to the response to the wine, people feel that they are being served the good wine. But changing presbytery meetings is just a cosmetic fix. My hope is to change our standing rules so that there is more breathing room to use other models of decision making like consensus. We had all our committees, council members, and staff read “Coming to Consensus” by Jill Tabert. The next step is to set a foundation so that the option to use these different models is possible. Similar discussion are happening on the Committee to Review Biennial General Assemblies. Our task is to completely review and suggest changes to the way Presbyterians gather as an assembly. This includes the way we elect moderators, send overtures, assemble in committee, go about work, and who gets to come. Some of the cosmetic changes will immediately go into effect at the upcoming 220th General Assembly this year. Some of the changes we propose for future assemblies can be read here (there have been some changes to the suggestions, but you can get the general gist). However, what I am most excited about are the possibilities that we would like to consider if general assembly agrees to extend our committee’s time. Some of it is similar to what is happening in my presbytery: looking at the standing rules, researching other decision-making models, and process modalities that could help us discern our work in more relational ways. 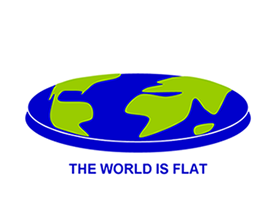 The world is not flat. We are not living in the 20th century anymore. The second-rate wine has been thrown out. As Presbyterians, as faithful followers of Christ, we are not required to know what the next step is. We are only asked to have enough faith to take a step, any step. We are only called to have enough faith to say ‘yes’ and participate fully in all the possibilities of what could be. Where is God calling you in this journey?